Do you often find yourself scrambling to find that perfect present for your mother on Mother’s Day? Mothers tend to love the homemade presents much more than one from a store. Knowing that you spent your time and energy creating this item for her will bring her so much joy. Here are our personal 10 favorite DIY Mother’s Day gifts. The first gift idea on our list is the teacup candle. These are a fun twist on just buying your mother a candle. For this project, you will need teacups. Choose the colors, shapes, and patterns that you think she will like the most. You will also need wax (soy wax is what we recommend, because it won’t create smoke), wax wicks, candle-making dyes and scents, wooden skewers, cooking thermometer (only needed if you add a scent to the candle), masking tape, a double-boiler, and oven mitts. First, tape two wooden skewers together to support your wick. The metal disk at the end of the wick will go at the bottom of the teacup. Lay the skewers across the teacup so the wick is in the center of the cup, and the string is drawn straight up. Add the wax to the small pot of your double-boiler at medium-high heat. Once it is liquid, remove the double-boiler from the heat and allow it to cool. Then add the candle dye and the scent (if you are adding scent, make sure to use your thermometer to ensure the wax has reached 180 degrees), as desired. Pour the liquid wax into the teacups, and leave half an inch of space from the lip of the cup. Let them cool for four to six hours, and then trim the wicks to one inch long. This fun craft gives a whole new meaning to the act of pressing flowers. Using live plants, you can create a gorgeous work of art that your mother can tote around and enjoy for years to come. 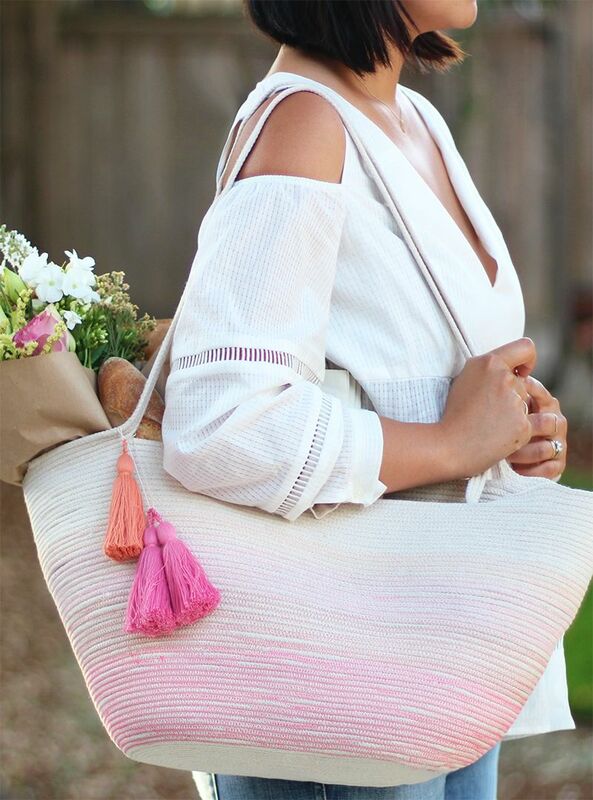 For this tote bag, you will need a ​cotton tote, rubber gloves, parchment paper, masking tape, flowers, a hammer, alum powder, and a board. First, you will want to prepare the bag. Wash it normally to get rid of any residue, and then dissolve ¼ cup of alum into two cups of hot water. Let the bag soak in the mixture for a while, then wring it out and let it dry. Then place a piece of parchment paper inside of the tote. This will stop the paint from leaking through to the other side of the bag. Lay the flowers out in the arrangement that you want on the bag, and tape them down with masking tape. Place the bag on the wooden board, and start hammering away at it to get the natural juices onto the tote. Once you are done, let it dry, and then place another piece of parchment paper on top so you can iron over the whole bag. This project is a little more involved and complicated, so you will want to set aside more time to prepare and make this gift. For this ​recipe, you will need two glass canning jars, a slow cooker, a digital infrared thermometer, a soap mold, immersion blender, digital scale, spoon, spatula, vinegar, and protective eyewear, and gloves. You are also going to need 11 ounces of coconut oil, 1 ounce of castor oil, 3 ounces of olive oil, 1 ounce of mango butter, 8 ounces of Himalayan sea salt, 6 ounces of distilled water, 2.3 ounces of lye, and half an ounce of lavender essential oil. Put on your protective gear, and carefully pour lye into one of the glass jars you have until the scale says 2.3 ounces. Fill the other glass jar with 6 ounces of distilled water. Take both jars outside with a spoon and slowly pour the lye into the water. Stir and then let cool until it is at about 100 degrees. Melt all the oils (except the essential oils) until they are melted, then let them cool until they are also at 100 degrees. Once the temperatures match pour the water/lye mixture into the oils. Use the immersion blender to stir all the ingredients together until it is thick. Then you can add the essential oils. After those steps you will want to add the Himalayan salt. Then you can spoon the mixture into the soap molds, and let it cool for 24 hours. Lastly, you will want to let the unmolded soap sit for 4-6 weeks before using it. 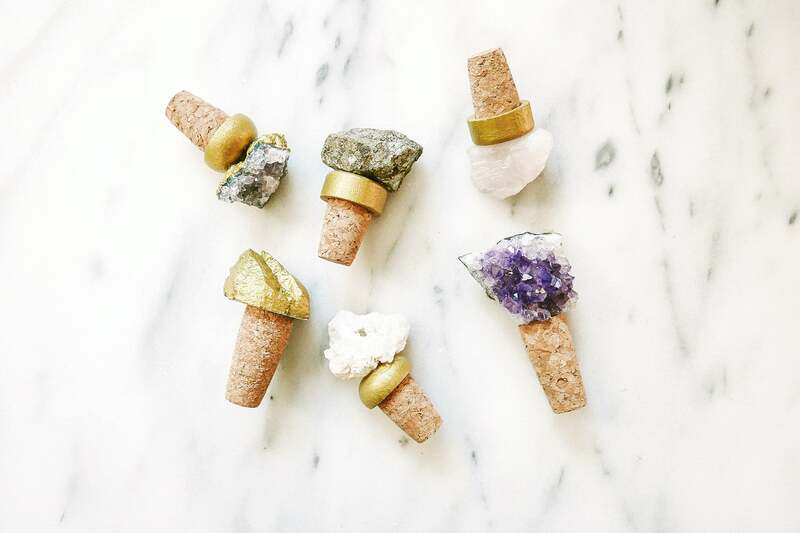 If your mom loves to drink wine, these gorgeous geode wine stoppers are a perfect DIY Mother’s Day gift for her. It is also a very simple project that won’t take you too much time to make. For this design, you will need to gather aesthetically pleasing geodes, as well as krazy glue and corks. You will start by putting glue on the cork, and attaching your desired geode to it. Hold it down firmly until dry. For extra fun, make a variety of stoppers with different colored geodes. If your mom is really invested in her skin care, and needs a new scrub that smells great, why not make her one? They are easy and very, very affordable to assemble. This particular recipe is a delightful green tea and rose sugar scrub from ​Martha Stewart. You will need ½ cup organic white sugar, ½ cups of coconut oil, green tea bags, rose essential oil, dried rose petals, a mixing bowl, a glass jar, and a craft stick. Combine the sugar, rose petals, and 3 green tea bags in a bowl. Add in the coconut oil and mix with a craft stick until it becomes a clumpy mixture. Then pour it into a glass jar that has a lid, and create a cute label for it. Another wonderful option for a DIY Mother’s Day gift is making your mom a sleeping mask. You will need cotton flannel, cotton batting, silk fabric, fabric scissors, sewing supplies, elastic, and bias tape. You will also need this ​template. Layer the pieces in order: flannel, batting, then front fabric. Then pin elastic at the marked points from the template on the front fabric. Tape down the edge of the mask, and pin the fabric together all around. Stitch in that crease all around the mask, then flip it over so the flannel side is facing up. Fold the tape over the raw edge of the mask and pin the whole thing. The last step is just hand sewing the binding to the flannel using a ​slip stitch. No one can ever have enough lip balm, even your mom. 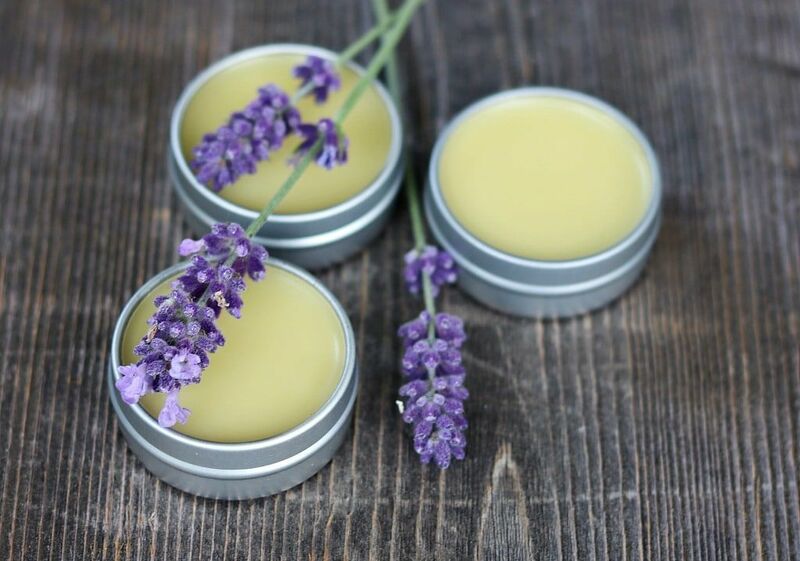 This lovely, simple DIY lavender lip balm will keep her lips soft forever. You will need natural beeswax, a measuring cup that is heatproof, safflower oil, lavender essential oil, craft sticks, and cardboard tubes and pots. Place two tablespoons of the beeswax into the measuring cup and heat in the microwave for 30 seconds. Stir with a craft stick and repeat until the wax is completely melted. Stir in ¼ cup of safflower oil and heat for another 30 seconds. Add up to 15 drops of essential oils and stir. Then pour the mixture into the cardboard tubes and pots and let it set for 4-5 hours. You can never have too many mug cozies, especially if they are personalized. For this project, you will need a felting needle tool, wool roving (2 ounces of each color per cozy), a needle-felting mat, button, sewing needle, and thread. First, measure the circumference of the mug. Then lay down your roving onto the mat, and make sure that it fits lengthwise. Use several strips of roving to make a band that is about 3 inches wide. Then prick the fibers repeatedly all over the needle tool until it becomes matted together. Continue this along all the roving strips. 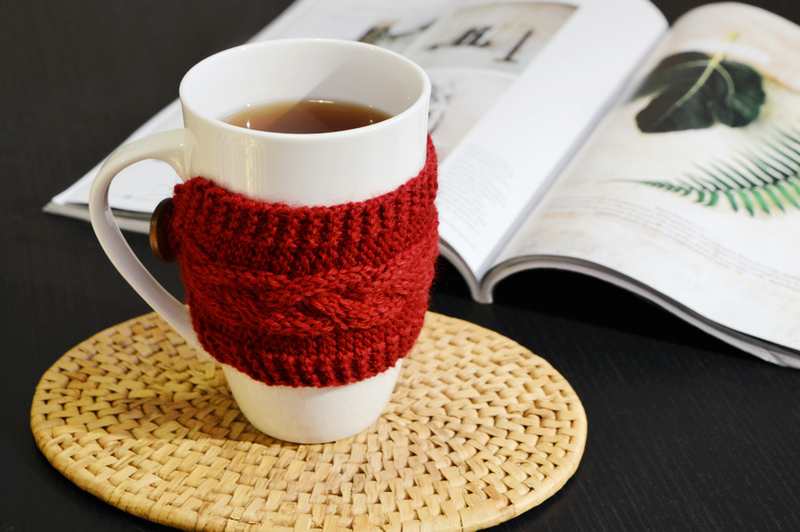 Then you can use coordinating colors to create hearts or other patterns on the cozy. Attach the piece onto the band in a loop and sew a button onto the opposite end of the band. Is your mom the best cook you know? Surprise her with a gorgeous cutting board made of marble. For this, you will need hardwood, marble, birch plywood, tape measure, scroll saw, glue, wood butter, and sandpaper. First, measure and cut the hardwood to the same width as the marble. Then measure and cut the birch plywood that matches the size as well. Sand any rough edges with your hands. Use a strong glue and attach the plywood to the back of the hardwood and marble. Press under a heavy stack of books and allow it to dry overnight. Lastly, finish the wood with some wood butter. Everyone loves a good ​bath bomb, right? But they can get expensive depending on the retailer. Making your own will save you quite a lot of money. You’ll need baking soda, Epsom salt, corn starch, citric acid, a large bowl, a whisk, coconut oil, water, essential oil, food coloring, a small car, and silicone molds. Mix together the dry ingredients (baking soda, salt, cornstarch, and citric acid) together in a large bowl and whisk together. Then mix the wet ingredients (oil, water, essential oil, and food coloring). Slowly add the liquid to the dry mix, and whisk as you go. Then pour the mixture into the molds, and let them dry for up to 24 hours. We hope you have enjoyed our list of DIY Mother’s Day gifts. We are sure she would love any of the options listed above once you’ve decided to make on your own.